This full-color book is used in Bill Jelen's live Power Excel with MrExcel seminars. It contains all of the tips and techniques you would learn in the class. I keep a spreadsheet that lists the books I‘ve authored. A few years ago I realized I would soon be writing book #40 and that the =ROMAN(40) is XL. Because of this joke, the MrExcel XL book was born. It became a staple at my live Power Excel seminars. 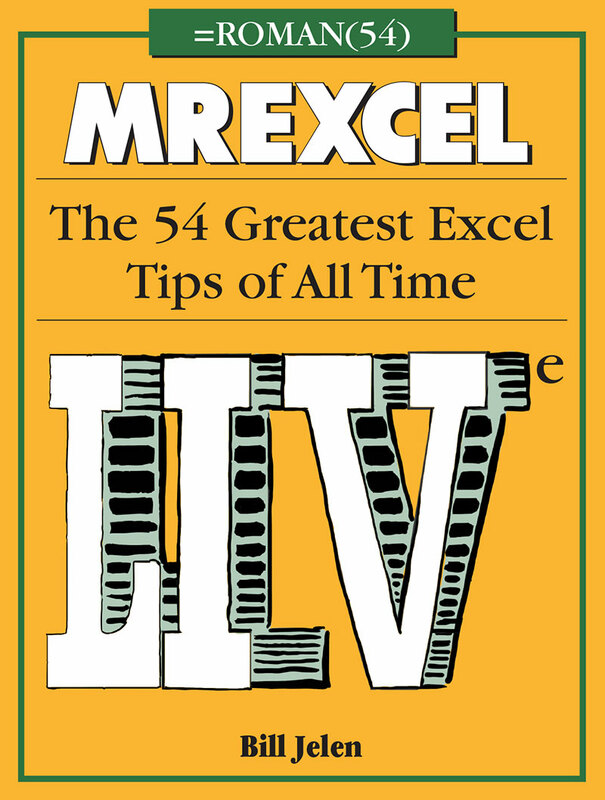 For this updated second edition, I am going with Excel 54 (which will be known as Excel LIVe—LIV because it is the ROMAN(54) and the final e to point out that this is the book I use in my LIVE seminars.